5 Creative Alternatives to the Bridal Bouquet Toss - Boston Wedding Planner Contagious Events: Real People. Real Weddings. For decades, the bridal bouquet toss has been a wedding staple. However, as time goes on, brides are choosing to showcase new and creative takes on this wedding classic! But, if you would still like to take part in the timeless wedding tradition, know that you can create a small toss bouquet to present to the single ladies, posing as the perfect choice for traditional couples. However, if you would rather showcase a more unique alternative to this tradition, know that you have some creative options! You can highlight just how wonderful marriage truly is by having an anniversary dance take place during your wedding reception! The dance will start off with all of the married couples taking the stage. After some time has passed, the emcee will then ask those who have been married five years or less to leave the dance floor, followed by ten years, and so on, leaving the couple who has been married the longest on the dance floor, who will then receive the bridal bouquet. The cake pull is a classic New Orleans wedding tradition. Small charms are attached to ribbons and placed between the layers of the wedding cake, leaving part of the ribbon exposed outside of the cake. Then, during the wedding reception, all of the single ladies will gather and pull the ribbon of their choice, exposing a charm, each having its own meaning. By choosing to have a ribbon cutting event during your wedding reception, you can highlight a fun twist on the traditional bridal bouquet toss! Tie ribbons to your bouquet and ask all of the single ladies to take one. You will then cut one ribbon at a time. Then, whoever is left holding the last ribbon “catches” the bouquet! Instead of tossing your bridal bouquet, lock it up! Place your bouquet in a vessel of your choice, whether it be a box or a birdcage, and choose a padlock to secure it. Then, present all of the single ladies with a key. Whoever’s key opens the box will receive the bouquet! 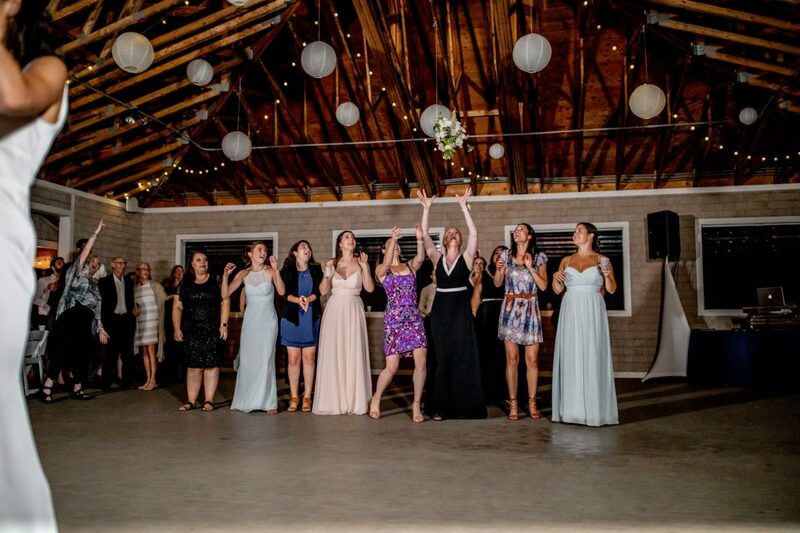 Instead of providing just one lady with a bouquet, let six have the opportunity to catch one! By creating a “breakaway” bouquet, which is a big floral arrangement comprised of six bouquets, you can toss them all at once during your wedding reception, allowing all of the single ladies to get in on the fun! Every couple deserves for their wedding to be unique! These are just a few ways in which you can ensure that yours is by choosing to highlight an alternative to the traditional bridal bouquet toss. 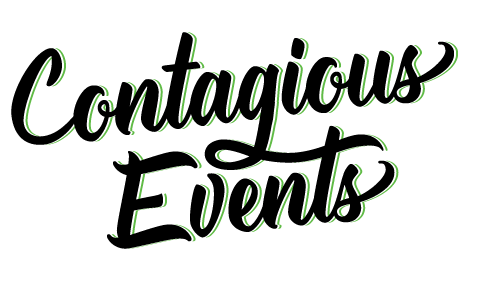 If you are ready to bring your own big day to life with a wedding planner in Boston, Massachusetts, please get in touch with us here at Contagious Events! We believe that every wedding should be one of a kind, and would be pleased with the opportunity to ensure that yours is!